Unfortunately, accidents, gum disease, and bone disease can all rob people of their teeth, and when they do, those individuals face a variety of problems. They can have trouble speaking, chewing, and even smiling. In time, a lack of jawbone support can cause the facial structure to collapse. Fortunately, there are a variety of solutions for this problem, and for a good many people, snap-on dentures are the remedy of choice. While regular dentures are an acceptable solution for some, other people experience difficulty with them. Traditional upper dentures are held in place by suction. This means they can slip out of place, perhaps when the wearer eats, speaks, laughs, coughs, or sneezes. Some people find them uncomfortable and have trouble talking or swallowing. Regular lower dentures simply sit in place, which means they can rub and irritate the gum. 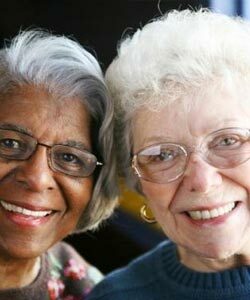 Snap-on dentures avoid all these problems by fitting more securely. Snap-on dentures gain superior support because they’re over-dentures that attach to multiple support posts, commonly two to four posts for lower dentures and four posts for upper dentures. Just like other dentures, they’re easy to take out and put in. Light pressure clips them onto the heads of the posts. Patients benefit from improved comfort, improved stability, the heightened self-confidence that comes with it, and being able to eat whatever they please. At the same time, they lose nothing with regard to convenience. HOW IS A PATIENT FITTED FOR SNAP-ON DENTURES? Fitting a patient with snap-on dentures is necessarily a more involved process that fitting him or her with regular dentures. That’s because the first step is to surgically mount implants in the jawbone. Generally speaking, the implants go in the front of the mouth because there’s more bone in the front of the jaw than in the back. Because the surgery then needs time to heal, the patient returns an average of three to six months later for a second procedure to expose the tops of the implants. That’s where the snap-on dentures will attach. WHAT DO SNAP-ON DENTURES COST? 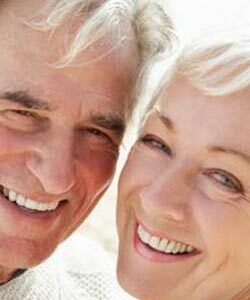 Snap-on dentures tend to cost a little more than traditional dentures and less than other implant supported prosthesis. The cost of making the snap-on dentures themselves is comparable to the cost of manufacturing regular dentures, but patients must also pay for the surgery to implant and expose and place the support posts in their jaws. Still, given the several advantages of snap-on dentures, patients are well advised to discuss the option with their dentists when in need of dentures or when traditional dentures have proved unsatisfactory. To get answers to your questions about snap-on dentures and how you can take better care of your teeth and gums, contact us today.